A LOW cost airline has announced it is to create 200 new jobs which will be split between Edinburgh and Glasgow airports. Roles set to be advertised by airliner Jet2 will range from pilots and cabin crew to ground operation staff, with a recruitment roadshow set to be held in the Capital on September 13. It comes as part of a wider recruitment drive across the whole of the UK, with the airline hoping to fill a total of 1700 posts. The company said it wants to continue expanding its operations across the UK this year with a 13 per cent increase in capacity. Chief executive Steve Heapy, said: “It has been an exciting year for Jet2.com and Jet2holidays and we are delighted to be creating so many opportunities to join our award-winning teams at Glasgow and Edinburgh Airports. Earlier this year the airline announced seven new routes from its two Scottish airports for next summer. Five of the routes will be exclusive to Jet2.com and Jet2holidays and an additional new Boeing 737-800 aircraft will come into operation at Edinburgh Airport to cope with the increased demand. It will add more than 50,000 extra seats with new flights to Antalya in Turkey and the Greek island of Kos, while there will also be flights to Dalaman in Turkey and Madeira. From Glasgow, it will add three new destinations to Bodrum in Turkey and Kefalonia and Halkidiki in Greece – adding 25,000 more seats. The airline said 2018 would see its biggest ever flights and holidays programme from Scotland with over 1.5 million seats on sale. Alex Cole-Hamilton, Lib Dem MSP for Edinburgh Western, said the news Jet2 was boosting its operations in the region was a “resounding endorsement” for both Edinburgh Airport and the Capital. He said: “The announcement from Jet2 is great news for the local economy and is symptomatic of continued positive growth for the airport. 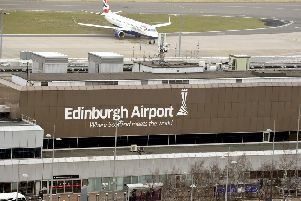 A spokesman for Edinburgh Airport added: “We are Scotland’s busiest airport and our drive to provide passengers with more options and destinations is a key element to that. “That greater choice is achieved by working with airlines like Jet2.com who can see the benefits that Edinburgh Airport has. The airline’s Edinburgh recruitment roadshow will be held at the Holiday Inn on Corstorphine Road. A further event will also be held at Glasgow’s Normandy Hotel on September 12. More information about the available roles can be found on the Jet2 careers website.